The elderly, mentally ill and the disabled are some of the most vulnerable victims of crime and neglect in society today. In the United States today there are over 36 million citizens over the age sixty-five. As baby boomers come of age, the number of senior citizens will rise. Advances in medical care also indicate that senior citizens are living longer. However, many will live in some type of long-term care facility. In a report issued by the American Medical Association in 2002, Georgia was a crisis state in terms of nursing home abuse. Nursing home abuse claims rose at an alarming rate in terms of frequency and severity. Further, Georgia has the third lowest Medicaid reimbursement for daily nursing home care of any state. Yet, Medicaid is the primary payor for seventy-six percent of its nursing home residents. With a high number of Medicaid patients and a low reimbursement rate, many facilities cut back in staffing and levels of care. This can be attributed to the increase in claims of nursing home abuse. Elderly or other dependent adults who have been injured as a result of abuse or neglect at the hands of nursing home attendants, in-home caregivers, medical providers or other persons may have a claim against the facility owner. Claims of nursing home abuse do survive the death of the resident. In such cases, families may file a claim on their behalf. Communication with the nursing home and its care providers will provide insight into the care and treatment of your loved one. If you are not satisfied with their response or level of attention, continue to investigate on behalf of your loved one. If you feel that nursing neglect or abuse may be the cause of injuries, you may want to speak to an attorney. The type of long term facilities in which your loved one resides may determine the type of care, the standard of care and the regulatory requirements of the facility. There are three types of long-term care provided in Georgia: personal care homes; intermediate care homes and skilled nursing facilities. The Georgia Department of Human Resources (DHR) regulates long-term care homes. The Office of Regulatory Service monitors, licenses, registers and certifies all long-term care homes. DHR maintains all inspection records, which are available under the Open Records Act. Personal care homes may be any dwelling that provides housing, food and one or more personal services to two or more adults living in the home, unrelated to the owner. Personal care residents generally do not require nursing services or medical supervision. Intermediate care homes admit residents on the basis of medical referrals. Nurses supervise the care in intermediate homes. However, residents are mobile outside of their beds, can feed themselves and have no catheters. A skilled nursing facility admits residents on the basis of medical referrals for continuous medical supervision and skilled nursing or rehabilitative care. State regulatory and statutory provisions govern nursing homes. Those facilities receiving Medicaid or Medicare federal funding must be federally certified. Federal government agencies will also provide oversight. In 1987, the federal government enacted the Nursing Home Reform Act which legislated certain rights for residents of long-term care facilities. Essentially, patients have the right of respect in their care and treatment; to be aware of the services and fees for services provided by the facility; to manage their own money or to designate a person to manage their money for them; privacy in care and confidentiality in the medical records; and the right to be informed of their care, treatment, medications and to select their own physician. Federal Medicaid and Medicare Acts, 42 U.S.C. § 1395, also provide for standards of care, but do not provide for private causes of action. The Health Care Financing Administration oversees compliance with these regulations. All homes receiving Medicaid or Medicare reimbursements must be in compliance with these regulations. Homes must be regularly inspected and certified in order to receive federal funding. The Georgia statutory framework for the regulation of nursing homes is known as the Bill of Rights for Residents of Long Term Care Facilities, O.C.G.A. § 31-8-126. The Georgia Bill of Rights is similar to the rights provided under the federal legislation. However, it does provide for a private cause of action for damages for the violation of any provision of the Bill of Rights. Further, administrative remedies do not have to be exhausted before filing a claim for nursing abuse. DHR also provides for regulations that govern long term care homes. Ga. Comp. R. and Reg. § 290-5-39. These regulations set forth clear standards that may be used as evidence of negligence if violated. However, compliance with standards may also be used by nursing homes to show that they did not violate any standard of care. Professional Negligence. In a claim for professional negligence, the defendant is usually a nurse or medical care provider. In the complaint, the plaintiff alleges that the defendant failed to exercise a reasonable degree of care, diligence and skill ordinarily employed by nursing homes in similar situations and like surrounding circumstances; and that the breach of care caused or contributed to the plaintiff's injuries. Each complaint must have an affidavit of a like medical professional attesting to the standard of care and a breach in the standard of care. 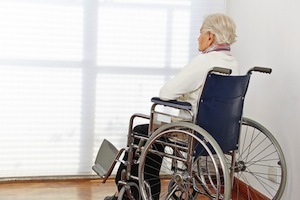 Nursing homes may be liable for a nurse's professional negligence, also called malpractice, under the doctrine of respondeat superior (employer liability). Ordinary Negligence. Nursing homes may also be liable under theories of general negligence for acts or omissions that do not involve professional negligence or judgment. For example, a nursing home may be liable under general premises liability actions for injuries caused by falls, defects in the facilities or fires. Expert testimony is not required in the case of ordinary negligence. Rather, the plaintiff must simply show that the nursing home breached a reasonable standard of care, and that that breach caused the plaintiff's injuries. Negligence Per Se. Nursing homes may be liable for the violation of any statutory law or regulation such as failing to provide for rights guaranteed by the Long Term Care Patients Bill of Rights. While this does not guarantee liability, it does establish the standard of care, and any violation of such constitutes a breach of care to the plaintiff. Thus, the standard of care as to nursing home negligence is automatically established. Injuries Caused by Third Parties. Typically, a business owner or premises owner is not responsible for violent acts caused by third parties that occur on the premises. However, Georgia courts have held that a special relationship exists between residents and long-term care facilities. Long-term care facilities owe a duty of supervision over any resident whose propensity to cause harm to others is known or should have been known. The facility has a duty to protect from its residents from other dangerous residents. A violation of that duty may allow a claim for nursing home negligence. Breach of Contract. A cause of action may arise from the contractual care afforded to the resident by means of the residential care contract. In some cases, a breach of contract action will afford remedies. Class Actions. Class action lawsuits were the impetus for the Federal Nursing Home Reform Act of 1987. General nursing home abuses and neglect such as malnutrition, dehydration and bedsores led to stiffer regulations and more oversight. Class actions suits are brought for general failings to a large group rather than as individual suits for personal injuries. If you believe that you or your loved one may have a nursing home liability claim, please contact the law offices of Robert N. Katz for a free, private consultation.